The information presented on this page was originally released on March 6, 2017. It may not be outdated, but please search our site for more current information. If you plan to quote or reference this information in a publication, please check with the Extension specialist or author before proceeding. 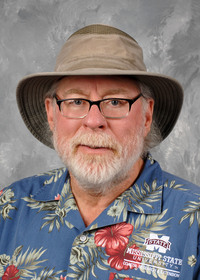 You may know by now that I like to grow heirloom vegetables in my Ocean Springs garden. The stories that go along with these old plants are almost as good as their flavors. My fascination with heirlooms even extends into the realm of flowers. I find heirlooms are a welcome change from the dizzying array of new plants with their kaleidoscope of colors that often go beyond my imagination. One old-time flower I love to grow is the nasturtium. I consider these heirlooms a good choice for the garden because they're easy to grow. 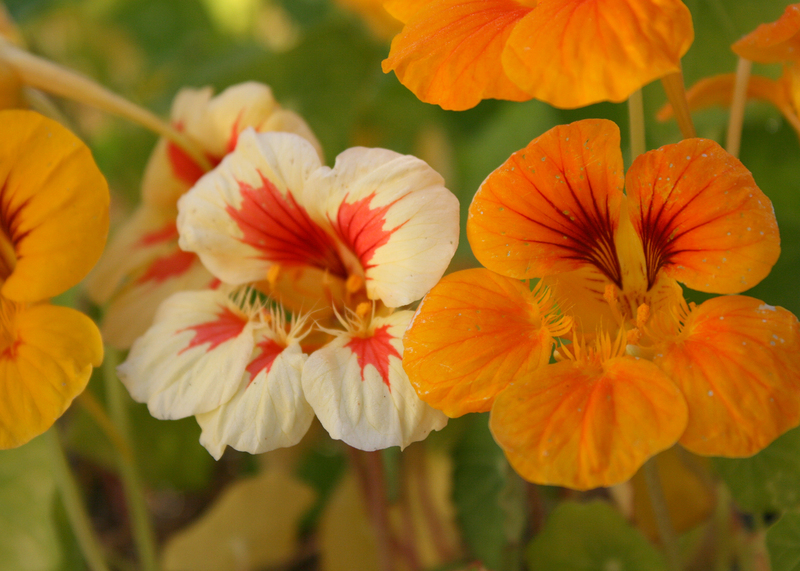 Along with their beauty, nasturtiums are versatile, require very little attention and are edible. That’s the trifecta for plants in my garden. Their variety of colors can rival any new and improved offering in garden centers this spring. I love the warm flower colors of yellow, red and orange that shout out for attention when planted in the full sun. There also are bicolor selections with dark eyes, as well as double-flower selections. I enjoy looking through the garden catalogs to select what varieties I’m going to grow this year. Each flower has a long spur called a nectary on the back, which contains sweet nectar. It aids in pollination by drawing pollinators deep into the flower. The flowers are held on long stems and seem to float above the dark-green, peppery-tasting foliage. Nasturtiums are annual plants and don’t need to be started indoors. Now is the perfect time in Mississippi to direct sow the seeds right where you want them to grow in the garden. The seeds are large and resemble a convoluted pea. Like peas, germination is quicker and more uniform if the seeds are soaked overnight. Set the seeds about 1 inch deep with 8- to 10-inch spacing. With direct seeding, there’s always the possibility of accidentally weeding them out later, but the leaves are unique and easy to recognize. My experience tells me that it’s going to take about 50 days after sowing for the plants to start flowering. I have a tradition that I sow seeds indoors on New Year’s Day to have transplants ready to set out in mid-February. 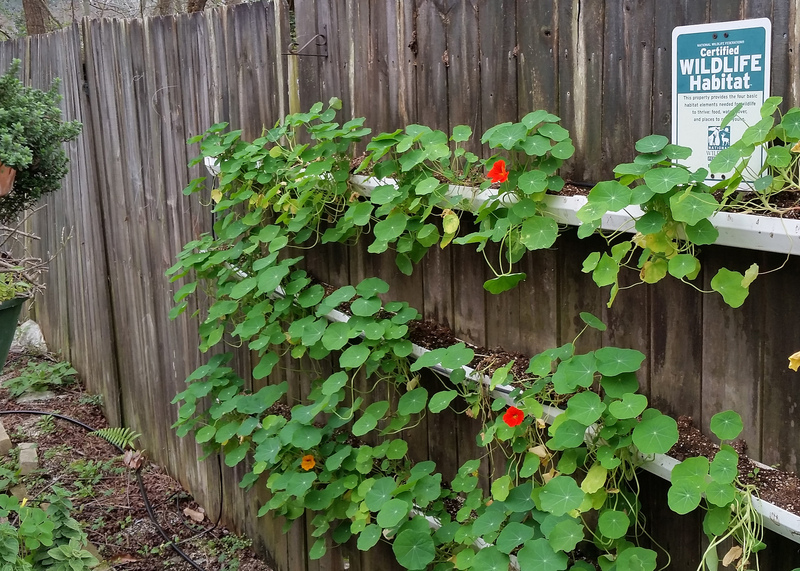 I did this with nasturtiums, and true to this timing, they started flowering on Feb. 28. Nasturtiums are easy to grow and tolerate less than perfect soil, as long as it is well drained. These plants like to be grown on the dry side, but don’t let them dry out completely. I like growing them in containers because I can control the moisture there. Feed every other week with water-soluble fertilizer to keep the flowering at its peak. Pinch the faded flowers to promote more flowering. But since the flowers are edible, there shouldn’t be any fading flowers to pinch off. Nasturtium flowers, buds and young leaves are a fantastic addition to any fresh salad. Harvest in the morning before the day heats up. The peppery taste is an unexpected surprise. I find nasturtiums are the perfect salad companion for arugula. A fun and pretty appetizer my family likes to share is stuffed nasturtium flowers. Gently wash a bunch of flowers and foliage. Mix whipped cream cheese with finely chopped fresh herbs, like basil or thyme, and put this into a piping bag. Gently pipe the mixture into the nasturtium flower until the center is filled. 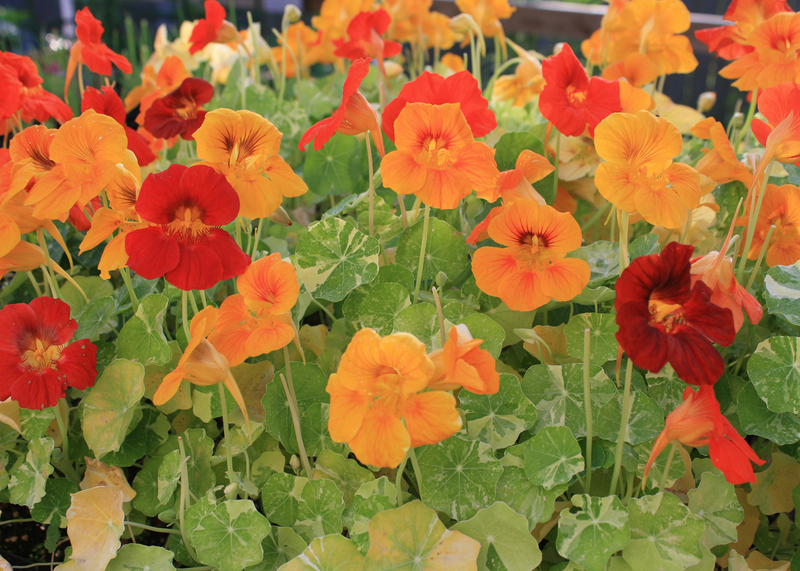 Arrange on a plate on a bed of nasturtium foliage. This dish is best served at room temperature so that the floral notes of the nasturtium flowers can be enjoyed. Another fun and elegant idea is to float a single nasturtium flower in a champagne flute. What a great way to use the garden to help celebrate any occasion.